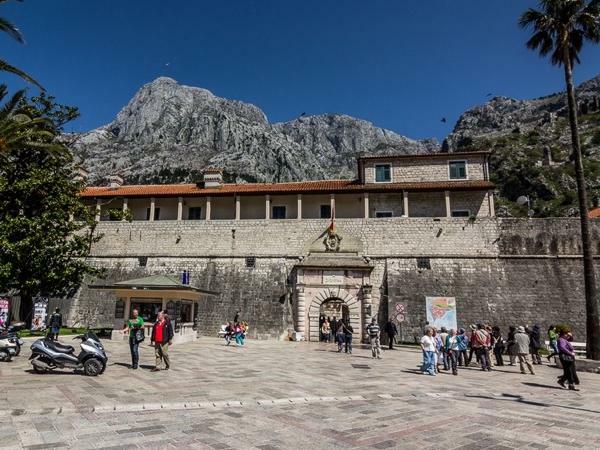 Traveler Reviews for Private Tour in Kotor, Montenegro by Tour Guide Tatjana C.
Tatjana provided an excellent experience for us touring old Kotor. She had a great deal of historical context - past and present about Kotor and Montenegro in general. As opposed to a ship's tour, we went at our pace, where we wanted. We had a great lunch at Hotel Conte on our way to Perast. We took a small boat to Our Lady of the Rocks on a man-made islet. I am pleased that we booked this tour with Tatjana and I recommend her highly. She will customize a tour based on your interests and abilities. We enjoyed the tour very much. She is very knowledgeable and accommodating. 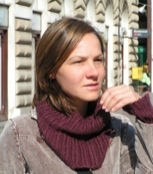 Tatjana is a native of Kotor, very knowledgeable and spoke excellent English. Excellent guide, knowledgeable, informative and fun to spend the day with. Highly recommended. Very knowledgeable and thorough spent the whole day with us past the tour time just to make sure we saw everything. This tour was a truely amazing experience for my wife and I. We were able to learn about the incredible history of Kotor and see some of the many the religious icons of this region. We both loved the wine tasting in a vineyard with one of the best views we have seen overlooking the sea and the mountains while enjoying exquisite wine. We would definitely do this tour again and will be sure to recommend it to anybody in the area. The guide, Tatjana was late meeting us at the port..Another guide waiting for his guests was good enough to call our "late" guide and received, according to him, a very negative response "Why you calling me - mind your own business..Kotor is a great place to visit, but we did not have a good feeling about our guide.. Excellent guide. Very knowledgable and pleasant. Tatjana was a very good an friendly guide and was fluent in English. She showed us Prevast and Kotor in the limited amount of time we were there. After we compared notes with the other cruise travelers we realized that we were able to accomplish much more on this private tour. We fully recommend her. Very nice tour,plenty of info and such a beautiful city. Guide took the time to show us the high points with our limited time and got us thru the lines which allowed more time to see more of the area. TOUR GUIDE RESPONSE: Thank you for your kind words, it was a pleasure to be on a tour wit you! Kind regards from Kotor! TOUR GUIDE RESPONSE: Thank you for your kind words! I enjoyed your company very much, hope that you will have exciting tours on your journey! Tatiana is a lively, engaging guide that provides an entertaining and thorough adventure. Her personal stories added a fun element to our day. Tatjana was very informative when it came to the history and politics of the area. She gave us a wonderful tour and put her customers first when there was an incident with her car. Her car mirror bumped another's on a very narrow, winding road. Very minor, but the other driver was upset. She immediately called a taxi to return us to our ship while she handled it. Could not have been nicer or more professional in taking care of the situation. Tatjana was an excellent guide for the four of us - knowledgeable, friendly and ready to adapt the tour to meet our interests. Although the price was more than what we would have paid for one of the cruise ship's excursions, we saw so much more and moved far more efficiently. Tatjana took us to a lovely seaside restaurant for our lunch, well away from the tourist centre. We thoroughly enjoyed our tour with Tatjana as our host. She was extremely polite and gave us a lot of historical information about Montenegro. The scenery is stunning and we highly recommend Tatjana. In all my travels, I have never met anyone as passionate about her city as Tatjana. She picked us up promptly and took us first to Perast. The coastal drive was breathtaking! She was so knowledgeable and seemed to know everyone we met along the way. Then, she spent time taking us through Kotor. I highly recommend her, without hesitation. She went above and beyond service for our tour of Kotor and Perast with personal and factual information and sensitive to our pace and spent extra time with us to assure that we had a good experience in a short amount of time while in port on a cruise. Tatjana spent one full day with us at Kotor Bay. Being a local person she picked the most important sights and gave all the detailed information we asked about. No matter if it was about geography, history, culture or daily life - it could not be better! Tatjana provided us with a wonderful experience in Old Town Kotor and Perast from our pre-tour communication to our final moments at sunset on the shore of the Bay of Kotor. She was knowledgeable, flexible, attentive to our needs and wishes, and because she was a local, she could answer our questions about current culture and politics with authority. We had a rich and enjoyable day because Tatjana was our guide. Tatjana helped us to understand how Montenegro was affected by the changes in the former Yugoslavian Republic,and how it evolved to where they are now. Budva was a great example of the impact of growth, and the charming town of Perast and boat ride to "Our Lady of the Rocks Church" was definitely a highlight. Our tour of Kotor was wonderful-wish we could have spent more time. It's always more meaningful when a local guide shares their passion for their beautiful country. Our guide Tatjana had an amazing knowledge of Kotor and Montenegro in general. She took us to see the very picturesque Sveti Stefan, Budva old town, Perast, then Kotor. We highly recommend Tatjana and Tours by Locals - a very professional company. We had no trouble meeting up with Tatjana on the wharf when our ship arrived in Kotor, and felt very well looked after. Tatjana in Kotor - very knowledgeable, very pleasant, willing to adjust to our requests. TOUR GUIDE RESPONSE: Dear Amy, I am glad I managed to meet your needs. Thank you! I recently returned from 3 weeks in Europe and my mom and I had the pleasure of Tatjana's company and expertise during our day in Kotor, Montenegro. Tatjana is very knowledgeable of her country's and Kotor's history and she is a very passionate person about life in general. She was the perfect guide for the 2 of us and we're grateful to have been able to book her for our trip. I was only in Kotor for the day as I came in via a cruise. As I wanted to see & learn as much as possible, I arranged beforehand for a one-on-one tour with Tatjana. She met me exactly at the time & place arranged. During the tour it became obvious that she's intelligent, well-informed & her historical knowledge & English are excellent. She showed a genuine love for her city & country which made the tour even more enjoyable & memorable. I highly recommend her to anyone looking for a great tour of Kotor! TOUR GUIDE RESPONSE: Dear Colleen, It was a pleasure to have you in Kotor and I still regret the rain we had. Hope that everything you saw will bring you in Kotor again during one of your travellings, and that we will meet again! Thanks!